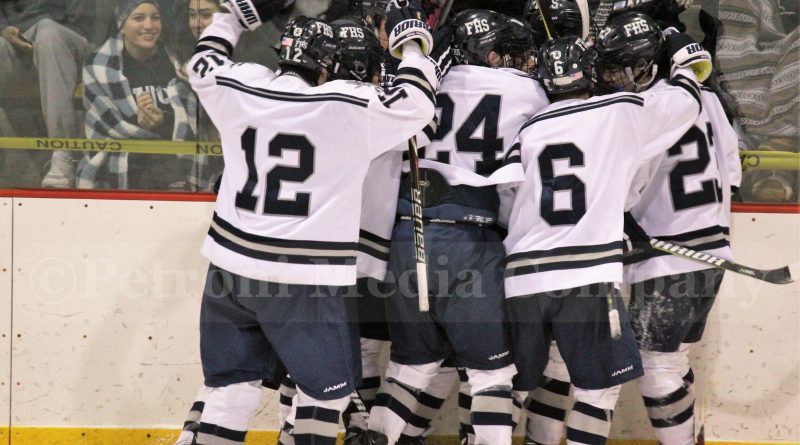 WEYMOUTH – Framingham High Hunter Balducci scored twice in the Flyers 3-1 win over the Wildcats of Weymouth High on the road Wednesday night. Balducci got the scoring started in the first period to give the Flyers a 1-0 lead. Senior captain Mike Tersoni picked up his latest goal to make it 2-0 Flyers. Weymouth scored to make it 2-1, and Balducci scored again in the second period to extend the Flyers lead to 3-1, to close the second period. Neither team got the puck in the net in the third period. Assists went to Tersoni, captain Nate Nichols, and sophomore Jared Shimelman.